This is Mr Penguin in his birthday suit, au natural. Mr Penguin stands in his tuxedo-like birthday suit. Mr Penguin is a very good friend of Auntie Shoe, the writer of this blog. He travels the world and sends her letters and post cards. Mr. Penguin also gets vests of the flags of the countries he visits. When he writes to Auntie Shoe, he does so “normally”. This is not the case when he travels through time and space with his magical friend, Toksie Turbie. You can read about their adventures at AuntieShoe.com. You will have to wait until they are written down, however. But those adventures will be told. Until then, you will have to satisfy yourself with Mr Penguin’s adventures in real life, or his remembrances of past adventures. He travels all over the world, experiencing many different cultures and heritages. 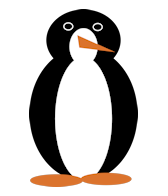 The penguin was born, of course, in Antarctica, but not anyplace you can find in that frozen place. He was raised on the invisable Penguin Peninsula, which is where Santa Clause’s brother, Zanta Claus, lives with his Mrs. While, Santa uses elves to help him with his work, Zanta uses penguins. Special penguins that can help make toys when Santa gets behind. But, mostly, Zanta delivers special gifts to children who are not expected to be around on Christmas. So, his job is very special. And, the penguins help him. The penguins get a lot of time to travel wherever they wish. Mr Penguin takes advantage of this perk and loves to find out about people in other places. For some reason, whenever Zanta’s penguins travel, no human gets upset about the fact that they talk. The Penguins of the Penguin Peninsula order in restaurants just like you and I. They get cabs like most people. They have no trouble getting tickets to movies, concerts and other events (other than they, often, can’t reach the ticket box and need someone to give them a boost). All in all it is a good life. Mr Penguin is very happy. Check back often to read his adventures. The Argentine flag is the focus of this design. And, it shows large. Furthermore, showing under it, the word ARGENTINA, in the colors of the flag. So, you can see the image on wearable items for him, her, and kids, below. In addition, this design is useful for people who wish to share their culture, heritage and ancestry in a fun and respectful way, it is a great way to prepare for travel or recall a vacation or holiday. Get great stuff and more flag designs with the Argentine flag from Auntie Shoe. 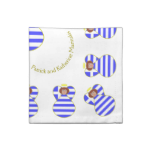 See more Argentina designs atzazzle.com. While you can see, the flag consists of three vertical stripes, there are two, at the top and bottom, in a light or sky blue. In addition, the middle stripe is white. In the center of the flag is a sun with the face of a man in it. As a result, it is a beautiful and creative flag and represents its country very well. Auntie Shoe specializes in creating designs using the flags of various countries. She does this for fun and profit. It is her only source of income. 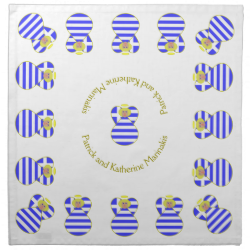 In addition to the flag designs, she also dresses angels in flags for Christmas, Hanukkah and any occasion you would want an angel to be present. Also, she has begun helping her friend, Mr. Penguin, use his wardrobe of flag vest for the enrichment and entertainment of everyone. Watch this blog for his travel adventures, as well as items to purchase. This is a test I want to see if I can post on my blog using my phone and the voice stuff that’s on there. So far, so good. I’m kind of liking this for now it seems very quick and very easy and all I need to do is figure out how to put the links for my shops and my products and I might be in business. Of course that assumes that I have the ability to figure out how to put links in my voice. So far I haven’t figured out how to use my phone to do that in the first place manually. But it is kind of cool to know that I can do the text part this way. Because this seems to be working out really really well and I’m wondering if I can use it in other places. You see Zazzle and other pods have made changes. So now it takes a great deal of time to describe all of your products. And, because of things Google has decided and zazzle has decided … They want each product to have a different description, even if it has the same design. Now I am very busy trying to figure out how to describe the flag in more than one way. Because Zazzle wants us to have the hundred fifty word descriptions. Now I can do this once without any problem but if I’m going to have 50 to 60 products for you to choose from it’s probably going to take a lot of figuring. So anyway, I’m not really sure how this is going to work I’m going to post it anyway and see what happens. This probably likely to be a lot of typos in it because I’m sure this thing doesn’t pick up exactly what I say or exactly how I print it intended to be printed. But I’m really curious to see what it looks like. I can rewrite it later when I have more time but right now I want to see if I can speak a thousand words rather than type of thousand words because that would be like way cooler then just having to type all the time which hurts my neck and my back and all kinds of things because of all my Argo nomic problem. The one thing this program doesn’t do however is tell me how many words are typed. That happens inside a special program that I have inside WordPress some kind of a thing called a plugin. I believe the one I use is SEO Yost. I like that program a lot. I just count the words and there are slightly more than 400 so I need roughly 600 more words to fill this post with a thousand words that google says it once in order to index it. This is going to be difficult because they don’t really have 600 more words to say about how this program is working for me. But I’m just going to continue to ramble because I want to test the system. Why? Because I’m just on me that way I like to ramble I like to just sit down and chat and this is kind of cool I don’t really have anything to say but that’s never stopped me before. I am rambling nail somebody to try to get a thousand words and for no particular reason other than I want to see how long and how it looks on the phone and once I post it. I know I can’t put a link in this way just yet because I haven’t quite figured out how to do that. But with a little trial and error I’m sure that I’ll be able to figure this out in no time. My next step after I do this and figure out how to use this properly is figure out if my new microphone super duper wonderful thingy that I have will work this way as well then I can be hands-free and I can actually exercise and do other things while I talk to the phone and work. That would be like so cool I can’t even put it into words. So far so good. I’m liking this a lot I’m just talking talking talking talking talking. I’m very good at talking. Just as the nuns that used to teach me in school. They were unhappy that I was very good at talking however, but I did it out but I often did it anyway. So anyway Here I am rambling on I’m trying to figure out how to do certain things I can’t figure out how to add a picture yet from another website. Because what I often do is add pictures of my products when I talk about them in a blog post and there’s a way here to add a picture I can see that but it has to be in my phone as opposed to being in the website itself. Or rather the code to the website. So I’m not quite sure how to figure all this out. I can figure on having to bold and I can figure out how to do certain things. I’m thinking that I’m just going to have to write my post and then edit them manually in the computer so that I won’t be actually sending them right away but this will save a lot of time because I can just talk about things rather than actually type everything which takes a very long time. I am NOT the greatest typist in the world. But I’m going to publish this as is without editing just for my own education and to see how it works if I use it without proof reading reading. But I’m really looking forward to this it seems to be a really cool thing and again, just to fill this post with 1000 words. I’m curious to see how long it takes. Plus I’m curious to see how long it takes me to do this now I’ve got people instant messaging me all over the place so I think I’m just going to stop and publish this just for the sake of publishing just to see what happens and how it looks I know its not professional but who cares nobody reads this blog anyway. Shamrock Flags are a fun way to share your heritages. The Shamrock Flag design was created by Auntie Shoe to help those with more than one ancestry celebrate everyone at once. Like St. Patrick, Auntie Shoe has used the shamrock motif to create the shamrock flags, of sorts. Each leaf in the shamrock flag has a flag in it. Because most of the designs are meant for Irish Americans who wish to honor a third heritage or ancestry, the majority of these images include flags for the United States of America, or USA, and the Republic of Ireland, or just plain Ireland. The third leaf changes, depending on the country. There are about forty choices now. But more are added all the time. If the one you need is not available, use the ASK THIS DESIGNER link, on the Zazzle order page, to contact Auntie Shoe. Tell her what you are looking for, and she will do her best to make it so. 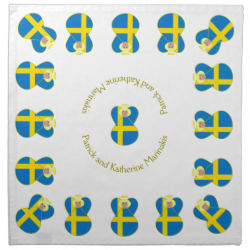 You can also customize or personalize any of the shamrock flags to make it extra special. Add a name, a year, an anniversary or birthday. Whatever makes it just the thing for you or the person you wish to give it to as a gift. The red arrow on the image below points to the button you need to use to start the customization process. The red arrow points to the CUSTOMIZE IT button or link. The non-white colors cost a bit more because of the process used to make the white parts in the design show well. It is well worth the additional cost to get the one that is right for you or the person receiving your gift. 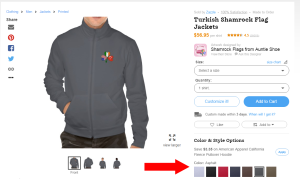 The order page for the shamrock flags jackets, showing the jacket in the asphalt color. Above you can see, as the caption reads, the top part of the order page. 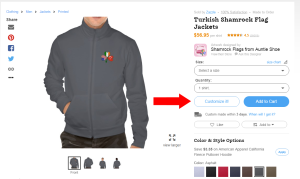 This is here to show you how to choose the jacket color for your shamrock flags design. The red arrow near the bottom points to the colors available. You just click on the color you like best and VOILA! 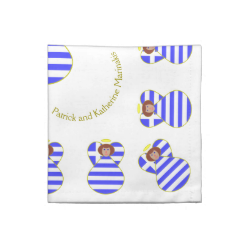 Earlier in this blog post, the writer, that would be me, your virtual Auntie Shoe, mentioned that there is a way to contact the designer on Zazzle. Now, what Zazzle does is put the link in light gray letters on a white background. Makes it nearly impossible to see. And, to top that off, it is in teeeeeeensy little bitsy letters. So, basically, unless you are 18 and have never worn glasses, it is invisible. That is, unless someone points it out to you. Since your Auntie Shoe cannot be there beside your mobile device or computer to guide you, she has created a blurry screen shot to be sure that you are as confused as possible. No matter what she does, it comes out blurry. But, there is a BIG THICK RED LINE under the ASK THIS DESIGNER link. That, it is hoped, will help you locate it on the page you end up on when you order. Here it is, below. The red line shows where the ASK THIS DESIGNER link is hidden. The fun part about this design is that is can be used any time, just to share your heritages. But, it can also be used for specific holidays. It is, of course THE perfect thing for your St. Patrick’s Day celebrations. But, it can also be worn to celebrate the 4th of July, Memorial Day, Labor Day, President’s Day and Veterans Day. Now, add to those the special holidays that are celebrated in the ever changing country represented by the third leaf. If that be France, then Bastille Day is a cool day to wear this jacket. If it be Canada, try Canada Day. But that one is a bit obvious. For Oxi Day (pronounced “oihee”), wear the Greek Shamrock to celebrate your Greek Irish American heritage. For Koningsdag in the Netherlands, pair it with an orange scarf and be part of oranjegekte or “orange madness”. For Australia, Australia Day is the obvious choice, but also nice for ANZAC Day, Labour Day or Eight Hours Day. And this design just might be perfect for Harmony Day. For Italian Irish Americans, the jacket with the Italian Irish American shamrock flag is just perfect for St. Joseph’s Day (March 19th) or Columbus Day. But if you also celebrate May Day and Liberation Day, why not wear it, then, too? The collection at the top of this posting shows about 15 or so different shamrock flags designs, but all are featured on a white jacket, with each shamrock having its own. The link to the collection is here. To see all the currently available white jackets with shamrock flags designs, visit here. This post is actually a test. A very nice man who lives in, Auntie Shoes believes, New Zealand, created this cool thingy that makes adding pictures of and links to items Auntie designs much easier. The nice man asked if she would test it for him. Actually, he asked many people. Auntie Shoe is just one of the many who said “yes”. So this is your Auntie Shoe, writing on her Flags-of-Nations blog about the nice man’s “invention”. It is really EASY to use. Auntie Shoe just went to the “Collections” in her Zazzle account, chose the Greek Shamrock collection and clicked on the thingy the nice man told her to put in her bookmarklet bar. Some windows popped up where she could add some numbers. But because she was logged into her Zazzle account, the numbers were just there automatically. YAY! Next, she had to add something called a tracking code, so Auntie Shoe would know if anything sold because of this posting. She made up something. It worked. YAY, again! What you see below is the result. It is a looooong bunch of code that Auntie simply copied and pasted into this blog. Works like a charm. Now, to talk a bit about the Greek Shamrock. Auntie Shoe noticed that many people have more than one heritage or ancestry. For example, your Auntie Shoe has ancestors that came from all over Europe. Some of Auntie originated in Germany, some in Greece, a little in Ireland, Scotland, the Netherlands, and France. And, because Auntie spent some time in a Catholic parish with an Irish pastor when she was a very wee Auntie, she knows all about shamrocks. And, it dawned on her one sunny Tuesday morning, (or, perhaps a rainy Wednesday, who knows? ), perhaps many Americans have something in addition to their Irish heritage in their DNA. Soooo, Auntie thought and thought and the idea came to her to create a series of images with a shamrock base. The USA and Irish flags would appear in two leaves, and the third would change to another flag to be determined by an individual’s other ethnicities. 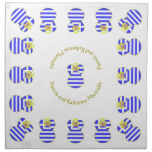 What you see below are several of the products with Auntie Shoe’s Greek Shamrock design. Rectangular belt buckle with the Greek Flag Shamrock design in the center. The only payment Auntie Shoe has to make for this lovely code,is to include the last link to some shops run by the nice man. Now, that’s affordable. Choose from a variety of angels in various flags on items to use for your holiday or Christmas decorating or party-giving. Napkins make lovely additions to your holiday table or cocktail party. They can be personalized with your name for an extra-special touch. 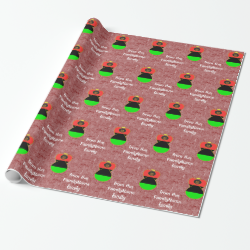 Wrapping paper brightens up your gifts and celebrates your heritage, culture and ancestry all at once! While heart shaped ornaments brighten your Christmas tree with the same. Tasty shortbread cookies, decorated with your special angel flag, brings something special to your party and makes a lovely gift for the person who has everything. You can see more designs with angels on a variety of items for Christmas giving, partying and general holiday cheer by visiting Auntie Shoe’s Angel Flags shop at Zazzle. It is located at www.zazzle.com/angelflags. Merry Christmas and Happy Holidays. 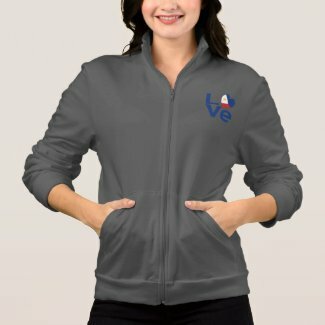 Filipino Blue LOVE Printed Jacket from Zazzle.com/filipinoflaggear. See more products with this design..